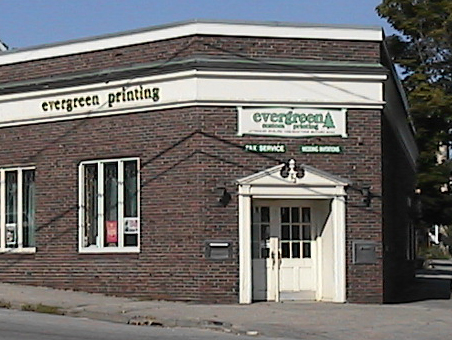 Welcome To Evergreen Custom Printing, Inc.! We are a local, commercial printer servicing businesses and the general public. Located in New Auburn, Maine, for 14 years on the corner of Third and Mill Street, we moved into a larger facility on the corner of Mill and Broad Street in 1997 and now are celebrating 25 years in business. We are a service-oriented business dedicating our skills to higher quality printed materials. We are located at 63 Broad Street in Auburn, Maine, right at the intersection of Mill St. and Broad St. Click on the map to the right for details or directions.